New York-born Carroll O’Connor had a career that lasted over five decades. If you asked him to name his all-time favorite role, you might have expected him to say a certain bigot who lived in Queens. Instead, at the end of his long career, O’Connor considered Chief William “Bill” Gillespie - his starring role in the crime drama In The Heat Of The Night - his favorite. Here are 10 facts about the actor whose favorite character now airs every weekday on getTV. 1. He had a passion for writing. While in his teens, O’Connor had what he called “a red-hot desire to be a reporter.” He entertained the idea of becoming a sportswriter while in college, but acting summoned and he heeded the call. Many years later Carroll would say that his one major professional regret was that he didn’t dedicate more time to writing. He admitted to always having great illusions about the press, but lived with a deep dislike for it as well. 2. His first stage name wasn’t Irish enough. O’Connor began his work as an actor using the stage name George Roberts after an older acting student told him to change his name. He chose George Roberts because it was the name of an old friend who had passed. A couple of years later “George” joined an acting troupe in Ireland where he was told his name should be Irish like everyone else’s. Carroll reverted back to using his given name and never looked back. 3. Burgess Meredith led to O’Connor’s four decades-long career. O’Connor’s first big break came in a stage production of James Joyce's Ulysses, which was produced by Burgess Meredith. He’d later describe it as his only successful stage play. Over four decades later O'Connor looked back on a career filled with accolades, including 11 Golden Globe nominations with 1 win, 9 Primetime Emmy nominations with 5 wins, and a Peabody Award. 4. Mimicking his mother served him well. O'Connor was a good mimic his entire life, a talent he got from his mother who was prone to mimicking people at the dinner table while he was growing up. Her use of varied New York accents led him to want to experiment, a skill that would serve him well throughout his career. On occasion he would also evoke the sounds of Jackie Gleason and James Cagney, and he used Wallace Beery’s walk as a guide. 5. He had a career-defining year following a health scare. 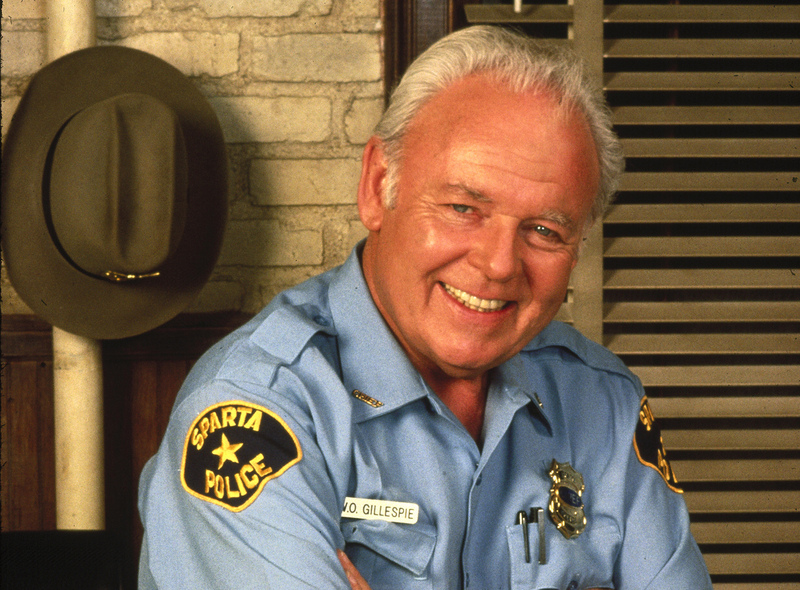 O’Connor had heart bypass surgery during the second season of In The Heat Of The Night in 1989. That year turned out to be a great one - he returned to the series to take on the additional role of co-executive producer, received his fifth Emmy Award for leading actor, and was inducted into the TV Academy Hall of Fame. 6. When he was in Rome, he adopted a son. O’Connor and his wife Nancy adopted their only child while in Rome, Italy in 1962. He was in Rome to film Joseph L. Mankiewicz’s Cleopatra and the topic of adoption came up when the couple visited a local church. The priest said there were babies available, and by the time filming concluded their new son Hugh was in their arms. 7. He nurtured his son's passion. O’Connor and his son Hugh shared a love of classic cars. Carroll owned the only V-12 Rolls-Royce ever made and drove it regularly. After Hugh’s death, Carroll dedicated time to nurturing their passion for finely crafted automobiles. It became a business called Carroll O’Connor Classics where he oversaw the restoration of vintage cars. 8. He wore many hats on In The Heat Of The Night. 9. The New South was a grand experience for the veteran actor. As executive producer, O’Connor's goal for In The Heat Of The Night was to portray what he called “the New South” as truthfully as possible. He admitted to being curious about race relations and having learned a lot from developing the stories in the show, which dealt realistically with all matters of race. O’Connor also said that his experience in the South during the production of In The Heat Of The Night was among the best in his life. 10. His singing on-set led to singing for a cause. According to actor Randall Franks who played Officer Randy Goode in In The Heat Of The Night, O’Connor was prone to break into song frequently on set. The cast enjoyed the musical interludes so much that Franks would produce a Christmas album in 1991 Christmas Time’s a Comin’ featuring the cast and friends of In The Heat Of The Night. The selection of songs for the album was made by O’Connor with the proceeds going to fight drug abuse, a cause close to the actor’s heart. Be sure to tune in to see Carroll O'Connor in In The Heat Of The Night on getTV each weekday at 12 pm ET, 1 pm ET, 5 pm ET, and 6 pm ET (with the exception of 12 pm ET on Fridays).